DALLAS: In 2005 when public relations professional Cari Weinberg got a call to help get the word out about an artsy, one-night fundraiser being held in an old, unused theater in Dallas, she was psyched! The idea – Art Conspiracy – crafted by Sarah Jane Semrad and Jason Roberts, was to bring artists, musicians and art patrons together to raise money for some of the children displaced by Hurricane Katrina. Weinberg, still a huge fan of Art Conspiracy, was one of the original volunteers who passionately served, including taking on the role of executive director and board president, until 2013. The first Art Conspiracy event raised more than $10,000 and over 800 people joined in. 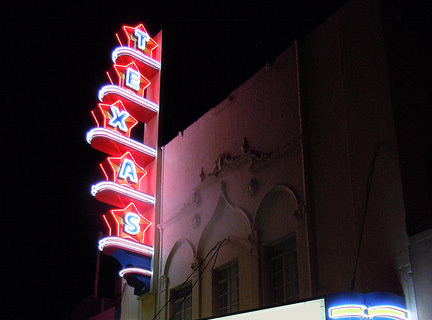 The gathering was held at the historic Texas Theater in Oak Cliff, where Lee Harvey Oswald was arrested shortly after President John F. Kennedy was shot. The name Art Conspiracy is meant to show that a conspiracy can also have a positive side. The non-profit’s second fund-raiser was held in the Longhorn Ballroom near downtown, once owned by Jack Ruby – who murdered Oswald days after the Kennedy assassination. And so, for ten years, Art Conspiracy has been bringing artists and musicians together to “conspire” for the benefit of Dallas’ local arts community with two fundraisers: SEED and Art Con. These are art events that give attendees the opportunity to buy original artwork at reasonable prices and fundraisers that supports local nonprofit arts programs. SEED, Art Conspiracy’s smaller summer event, is given an annual theme and raises the “seed money” for the costs of the larger fall event. The year’s beneficiary is also named at this gathering. Then, in November, Art Con invites 150 artists to a warehouse-turned-art studio where they create unique works of art on Art Con’s signature 18 x 18 inch plywood boards. The art is auctioned off live. Local music acts perform and it’s an exciting evening with food, drink and fun. “Art Conspiracy was supposed to be a one time event,” says Art Conspiracy’s Executive Director, Erica Felicella. A photographer and performance artist, she’s worn all the Art Con hats including volunteer and contributing artist, since the very first event in 2005. Originally, it was first come first serve for the artists whose work would be auctioned off. But in no time she says, they were signing up so fast the majority of the art world wasn’t even out of bed yet. Now it’s an open call lottery. For 24 hours any artist from anywhere can sign up online. Then at the end of the 24 hours and with the click of a button, 150 artists are randomly selected from that list. “Technology has changed us a lot,” she admits. But the Art Conspiracy team does much more than produce SEED and Art Con. And while many think Art Con is a grant, and there is a money aspect, the partnership with the selected beneficiary is much more that. Last fall’s Art Con beneficiary was the Anita N. Martinez Ballet Folklorico (ANMBF). In addition to the non-profit receiving a check for $25,000, Art Conspiracy came to their aid when they needed help with the technical side of their 40th anniversary show, ANITA! Each year Art Conspiracy invites non-profits who qualify to apply to be Art Con’s beneficiary. After the application deadline, a committee goes on site visits and does interviews. From there the board makes the final selection. When it comes to deciding where to hold SEED and Art Con, the team does it’s best to use under-utilized areas. Another of Art Con’s goals is to shine a light on areas in Dallas that have gone dark and breathe new life into it. For Art Con Year 4, the event was held where Trinity Groves is now. “I’m not saying we were a direct cause, but again, we were there prior to the bubble before Mar (The Margaret Hunt Hill Bridge) existed. This year’s summer seed event was named SKEWED and was held at Life in Deep Ellum on June 6. Nearly 700 participants came to support the fund-raiser. “We take the theme and stretch it across everything. We don’t try to pigeonhole the artists’ creativity.” For artists, one word brings many interpretations of ideas. The music is curated to fit the concept and the theme of the evening as well. It’s exciting. “The event helps us create a little bit bigger piggy bank for the big one in the fall,” Felicella says. Both events have a starting bid, no matter who the artist is. Summer is $50. Fall is $20. Where it goes from there is up to the crowd. As an artist whose work has been purchased at previous Art Cons, Felicella knows how the artists feel when their work is on display and being sold. 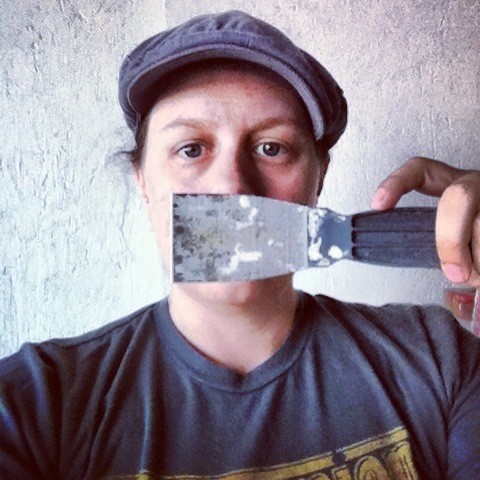 Attorney Lacey Lucas currently serves as the president of Art Conspiracy’s board. 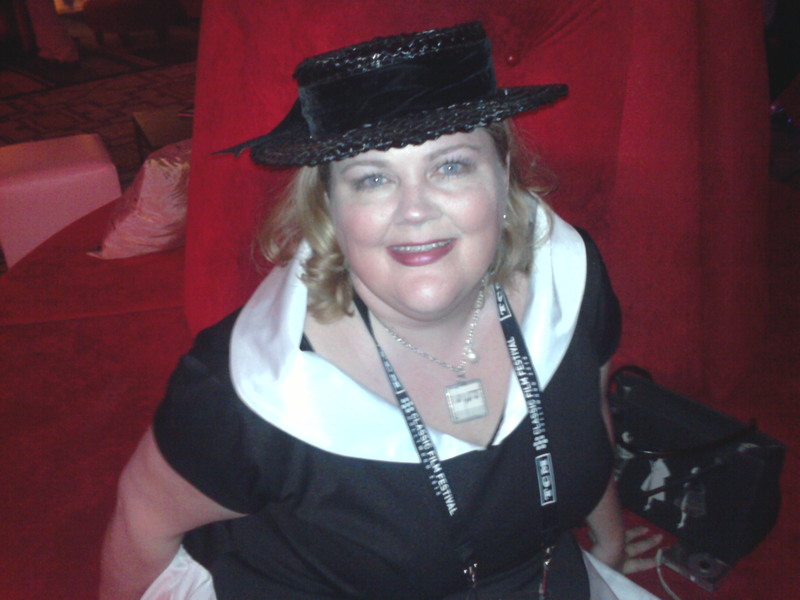 She joined the board in 2014 but has been a volunteer since Art Con 8. She even volunteered to be a part of Art Con 9 with a separated shoulder and broken ankle. Why? She says it’s all about community. Lucas is passionate about getting the word out about who Art Conspiracy is and the work that they do. And she reports that this year the board has approved plans to pilot 8 new programs, 2 of which have already begun. There is no doubt that Art Conspiracy’s influence in Dallas is growing. In 2005 they built it and people came. With the continued spirit that this altruistic non-profit is infusing into the city, more is sure to come. Art Conspiracy is pleased to announce their 2015 Art Con beneficiary: Make Art With Purpose. Art Con 11 is scheduled for November 14, 2015. For more information click here. VOICES OF CHANGE: DALLAS’ CONTEMPORARY CLASSICAL ENSEMBLE CELEBRATES 40 YEARS! The halls are alive with the sound of music, new music that is, thanks to Voices of Change (VOC), Dallas’ premiere new music chamber ensemble. It’s been an amazing journey for the musicians, composers and patrons whose passion to create something outside the classical music box continues to keep the halls alive with the voices of 20th and 21st century classical composers. Having just completed their 41st season, let’s travel back through some of VOC’s 40-year journey. But first, let’s explore the allure of new music. Voices of Change’s Executive Director, Margaret Barrett was blown away when she listened to a recording of Grammy and Pulitzer Prize winning composer Steve Reich’s new music, while studying music composition at Baylor University.“It made me realize how limited traditional western music is and that there is this whole other world of sound we are missing out on,” Barrett says.“Modern composers have something to say – and that something has to do with the world we live in today.Barrett adds that most of western music before the 20th century consisted of major and minor keys (melodies), music audiences understood and connected with. However, 20th century composers started to question this and began to wonder what would happen if they changed it up a bit and, as a result, new music was born. piano was as natural to her as anything. By the age of 12 she was performing as a soloist and had already developed a love for new music. Boatright majored in piano at Colorado College, where she met her husband Harvey Boatwright. In 1957 the couple left Colorado to attend the New England Conservatory of music in Boston where she performed with the Boston Symphony and the Boston Pops. The next year she attended Tanglewood, a premiere summer training program for aspiring high school-age musicians. In 1960, Harvey, now a professionally trained flutist, was offered a job with the Dallas Symphony Orchestra and the couple moved to Texas. The next year Boatwright found employment as the music director of the First Unitarian Church, a gig that lasted 43 years. Then in 1968 on a Sunday at the church, she met clarinetist Ross Powell, who Boartright quickly discovered, was as much in love with contemporary classical music as she was. 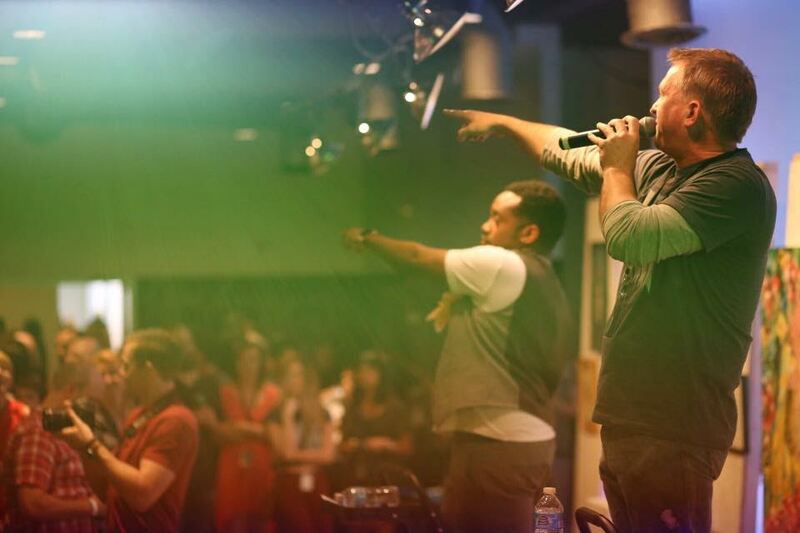 For the next few years the two pursued their new music passion. Then in 1974 Boatright and Powell, ready for something new, founded a new music ensemble. Actually, their very first concert was under the name of New World Chamber Players, which then promptly ditched when Ross came up with Voices of Change, Boatright explains. “In our case “Voices” referred to lines of music [in chamber music the instrument plays only one line with no one else playing the same line] and “Change” to the fact that new composers were changing what was expected in chamber music”. Early on, in addition to performing some new works composed by Thom Mason, the six original members (musicians Ross and Sandy Powell, Ron Neal, Harvey and Jo Boatright and soprano Christine Schadeberg), largely performed Perriot chamber music, considered worldwide as the instrumental ensemble for new music in the 20th century. Pierrot Lunaire Op. 21, a melodrama (a combination of spoken text with instrumental accompaniment), written by Arnold Schooenberg, is a setting of 21 selected poems from Otto Erich Hartleben’s German translation of Albert Giraud’s cycle of French poems. The work is atonal and is still performed by nearly all new music ensembles today. VOC was off to a good start and getting lots of attention from the media. During the 80s, the ensemble toured the European capitals of London, Berlin, Paris, The Hague, Edinburgh, and Riga. Along the way, Boatright and company has had the privilege to work with two Grammy and Pulitzer Prize winning American composers: George Crumb and John Cage. Other good things happened for VOC as well. She also admits that the ensemble’s most widely known achievement was a Grammy nomination in 1999 for an album entitled “Voices Americanos” which featured all Latino/Latina composers. Over the years, Boatright says some things with the ensemble have changed, and some have not. “I don’t think VOC has “evolved”, but rather “changed” with whatever the living composers of today are putting out there for musicians to explore and perform,’ she explains. “I’m speaking purely from the musical side of VOC. Grant support has decreased significantly over the years as well. But one constant, she says, has been the high level of musical performance and press coverage and the small venues around Dallas to host “mini” concerts preceding subscription concerts. 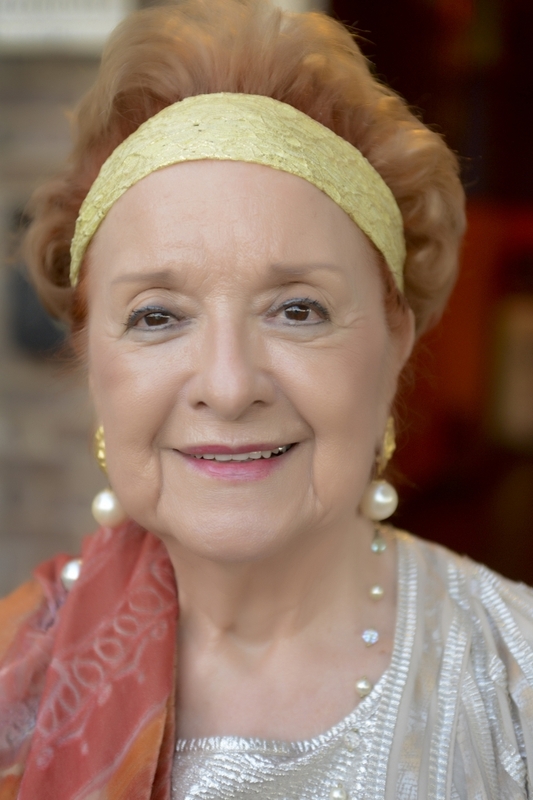 In addition to her role with the Unitarian Church, from the early 60s through the mid-80s, Boatright taught music at the University of Arlington, Texas Christian University, the University of Texas at Dallas and SMU. Then, early in the millennium, Harvey and Jo headed back to their beloved Colorado where she now serves as the artistic director and pianist for the Walden Chamber Music Society in Buena Vista. She continues to serve VOC in an advisory capacity. In 1994, award winning violinist and Oregon native Maria Schleuning moved to Dallas when she was offered a position with theDallas Symphony. Here she met her husband, former DSO member and current music director of the Greater Dallas Youth Orchestra, Richard Giangialo. 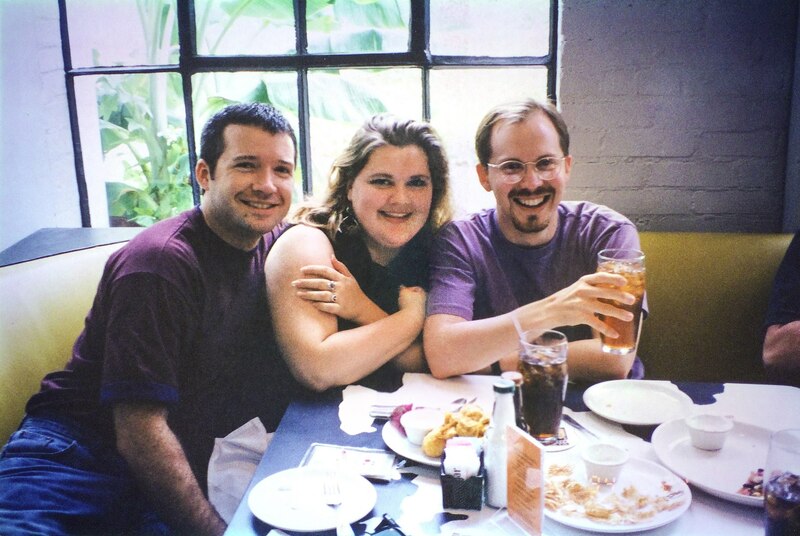 Soon after arriving in Dallas, she discovered Voices of Change and in 1996, became the ensemble’s violinist. Schleuning’s passion for music was ignited early in her childhood. 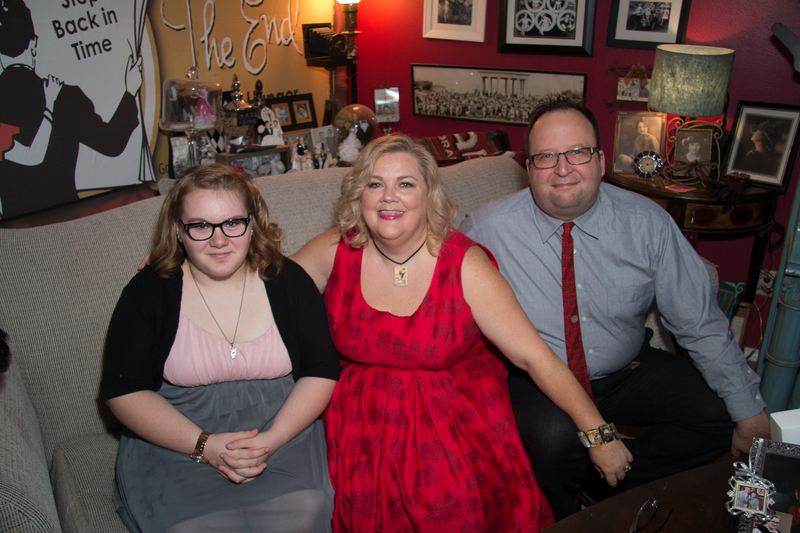 As the youngest of three daughters growing up in Portland, naturally, she wanted to be like her older sisters –they both played a musical instrument: double bass and flute. Maria chose the violin. From age 9 to 18, she played with Portland’s Youth Philharmonic, American’s oldest youth orchestra. 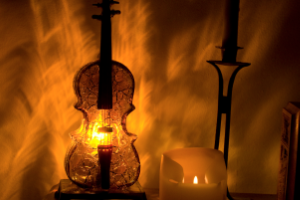 There, she was introduced to contemporary classical music and fell in love with the new sound. Further inspiration came when Schleuning met Grammy Award winning violinist and conductor, Joshua Bell when she was selected to perform in the Seventeen Magazine and General Motors National Concerto Competition. Bell took the grand prize butthe next summer, she reaped the rewards of his sage advice. 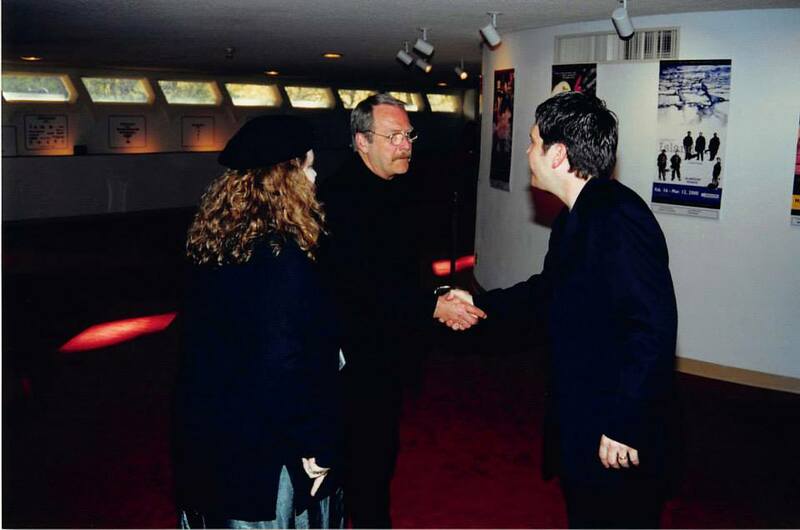 “When we were at the Aspen Music Festival together the following summer, he (Bell) told me a lot of wonderful things about his teacher, Josef Gingold,” she recalls. This was a factor that helped influence her a year later when she was applying for college. Gingold was considered one of the most influential violin masters in the U.S. Schleuning earned her bachelor’s degree in music at Indiana University. Later she studied with Yfrah Neaman, a distinguished violin instructor, at the Guildhall School in London. In 1990, Schleuning attended Juilliard where she worked with Joel Smirnoff and earned her Master’s degree in music. In 2009, after several seasons as a significant contributor to VOC’s success, Schleuning was appointed the ensemble’s artistic director. Voices of Change has worked with many leading composers and has premiered several new works along the way including that of David Dzubay, a longtime supporter of VOC; Xi Wang, a Dallas composer whose newly created commission premiered at the groups March concert; and Augusta Read Thomas, whose solo violin work, Dream Catcher, written specifically for Schleuning, also premiered recently. Schleuning says she was thrilled to be a part of the creative process that brought Thomas’s Dream Catcher to life. Schleuning has recently recorded this piece for a seven CD set of her complete works, which will be available on the Nimbus label this summer. Another important accomplishment for VOC is commissioning new work. Having recently completed a second commission for the ensemble, Tibetan Fantasia, which premiered at the group’s March 14 concert, Composer and SMU professor, Xi Wang, knows their voices. “I went to almost every VOC concert after I moved to Dallas in 2009,” she says. “I met each member in person and I know the sound of each musician. That’s how I can comfortably write for the ensemble. Another composer with whom Voices of Change has a long association with is fellow-Oregonian and music professor, David Dzubay. “I knew Maria first through the Portland Youth Philharmonic, then as fellow students at Indiana University, and then through Voices of Change,” he says. 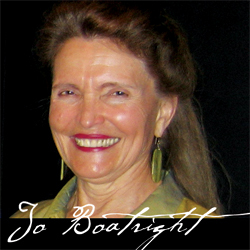 “I first worked with VOC in 1992, when Jo Boatright programmed and performed with Carter Enyeart the premiere of my cello sonata written that year while I taught at the University of North Texas. In 2003, following the cello sonata, the group recorded and released a full CD of Dzubay’s music, including two song cycles that he conducted, and a short string quartet and Capriccio for violin and piano, performed by Jo and Maria. In 2007, Joe Illick (VOC artistic director from 2006 to 2007) and VOC commissioned All Water has a Perfect Memory for clarinet, piano and string quartet, one of his favorite works. 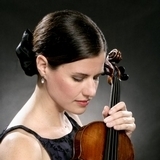 When 36-year-old violinist Mary Alice Rich discovered that she had focal dystonia, a neurological condition that affects a muscle or group of muscles, she turned to composing. “It was one of those great surprises of life,” Rich shares. “But I knew I could teach and I could write. So she taught violin and began composing. As a result of the relationship, Rich got on board with Voices of Changes by becoming part of VOC’s education committee. Along with fellow committee members Margaret Barrett, Francis Osentowski and Alex Djinov, the team is on a mission to bring the sounds and insights of new music to kids in schools around the metroplex, including under served schools. elementary schools. The kids were asked to write poems about their neighborhoods then they wrote little bits of music and with the help of their music teachers, weaved the kids’ melodic material into songs, which were then performed by the kids or high school soloists. Rich remembers one little boy coming up to her and asking her for another piece of paper because he wanted to write another poem for his mom. As Voices of Change’s artistic director, Schleuning does her best to find a balance, when deciding what music the ensemble will perform. “I like to program an “older” new work–one that perhaps is recognized (like Bartok or Shostakovich) with something that is more recent (written in the last ten years or so). At the same time, I try to balance atonal and tonal music–I realize that some modern music is difficult for the listener, especially if they are new to it,” she adds. While Schleuning acknowledges that [new music] can be a hard sell to audiences it provides musicians many opportunities for growth. “Playing new music keeps you fresh, keeps you thinking, keeps your mind searching and keeps you in shape, physically,” she says referring to when composers ask musicians to play their instruments in unconventional ways, including plucking piano cords and playing the violin while holding it in an upright position close to the floor. 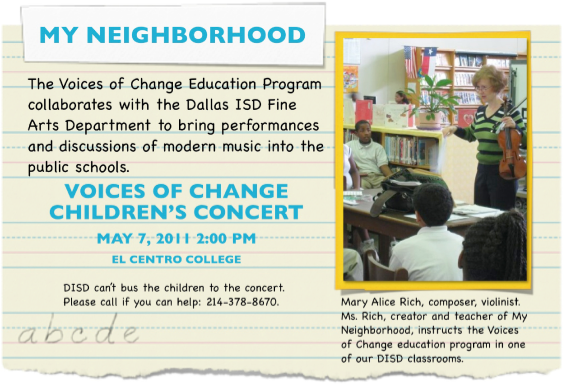 There is no doubt Voices of Change has a great deal to offer Dallas: Season subscription concerts; Pre-concert forums facilitated by Dr. Laurie Schulman (discussions about the concert’s composer and music); innovative educational programs including their Texas Young Composers’ composition contest; house concerts; free SoundBites (wine tasting and music the evening before each concert) and other gatherings and celebrations. Check it all out here. ANITA N. MARTINEZ BALLET FOLKLORICO HONORS ITS FOUNDER WITH A NEW SHOW! DALLAS: COME ONE, COME ALL! 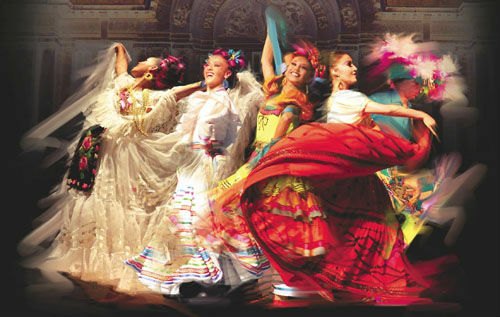 Watch, as 80 dancers dressed in swirling reds, yellows and greens kick up their heels to the music of ballet folklorico! Marvel, as twirling aerialists perform daring acrobatics on suspended silk ropes! The show is Anita!, and it honors Anita Martinez, founder of the Anita N. Martinez Ballet Folklorico (ANMBF), and former Dallas city council woman. Under the watchful eye of ANMBF’s Executive Director, Lisa Mesa-Rogers, the show celebrates Martinez’s life and accomplishments with dance and performance. The curtain rises at 7:30 pm on Thursday, April 23 at the Winspear Opera House at 2403 Flora Street in Dallas. Growing up in Little Mexico ignited an early desire in Martinez to make Dallas “the best city it can be.” A former Mexican-American neighborhood in Dallas, Little Mexico was bordered by Maple Avenue, McKinney Avenue and the MKT Railroad. Being one of six children, she walked to the store because the family had only one bicycle, shared by all six children. During her walks Martinez often wondered why the street they lived on was so muddy. In no time she discovered that if she could collect enough signatures from nearby residents, the city of Dallas would pave the street. So 14-year-old Martinez went door-to-door collecting signatures. Soon after their street was paved. “That was a red-letter day for me!” Martinez confesses. From that moment, neighbors turned to her for help. And with her neighbors’ encouragement and help, in 1969 Martinez became the first woman Hispanic city council member of a major city in the country. She worked hard to bring improvements to her community, and even though she had to deal with discrimination, she got things done. In 1975, when the City of Dallas named a recreation center after her for her exemplary work improving the communities of West Dallas and Little Mexico, Martinez was honored but at the same time troubled by what she saw at the center: Hispanic children shy and withdrawn. Martinez had an idea about how to unlock their potential, the same approach that had set her free as a child: dancing. Years earlier one of the neighbors had taught her and some of the other girls in the neighborhood some swing steps and some ballet folklorico. She loved it. Sometimes when they were performing, people would peek over the fence and watch. Then they would applaud. “Dancing made me feel happy and l liked how I felt when they would clap,” Martinez recalls. Dancing gave her a new-found confidence and appreciation for her culture. 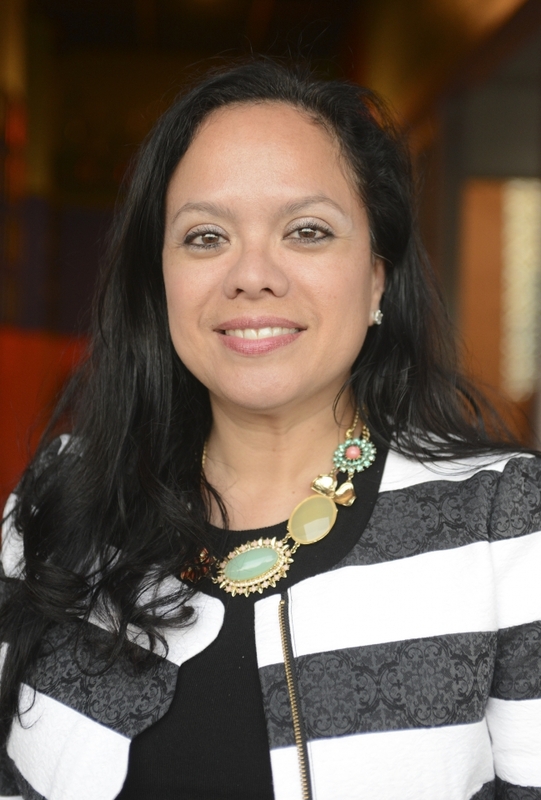 She was convinced that by teaching Hispanic youth about the beauty of their culture through the performing arts – Mexican music, dance, and history – they would be proud of their heritage. With improved self-esteem, the children would be motivated to stay in school and set higher goals. “Kids need a place to help them perform and gain confidence,” Martinez says. So in 1975 the Anita N. Martinez Ballet Folklorico was born. What started out as a small group of dancers in a community recreation center has been transformed into the most prestigious Folklorico company in North Texas, serving more than 50,000 children each year. And the ANMBF is very proud to be one of five permanent dance companies at the Winspear. Now 40 years later, supported by public funds, special grants and private donations, the school continues to work towards its mission. Anita! will highlight aspects of Martinez’s life, giving us a 70-minute peak into what has made this woman a legend. The show will feature 80 children from ages 5 to 17, and professional dance artists with the ANMBF Performance Company. Dance segments that highlight aspects of Mrs. Martinez life will include traditional ballet folklorico, representing the regions of Mexico with music and costume. 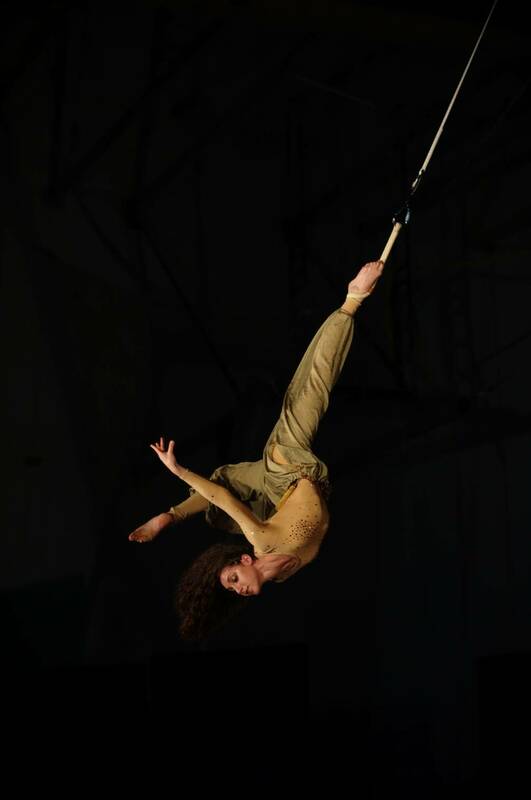 The show will also feature a modern segment – professional aerialists from Dallas-based Lone Star Circus. Lone Star Circus is the performing arm of Lone Star Arts Center, a non-profit, which promotes circus arts through training, performance and community outreach. Now in her third year as ANMBF’s Executive Director, Lisa Mesa-Rogers’ role of overseeing the production of Anita! is a labor of love. “Anita! was born during a creative meeting with ANMBF staff and is written by Al J. Martinez, Anita’s son and directed by Frank Latson,” Mesa-Rogers reports. “We have worked with three choreographers and are using video projections, live vocals, aerialists, and African Drummers/Dancers. There have been surprises as well as challenges in bringing Anita! to life. Art Conspiracy is a Dallas-based non-profit that brings artists together to raise funds and heighten awareness for regional creative programs and cause. The organization also donated $25,000 to ANMBF last year. And all the while, her adoration for Martinez remains steadfast. Mesa-Rogers says that that although Martinez has seen video excerpts of the show, there are still some surprises lurking. So come see it with her! Join us on April 23 for this very special tribute! To find out more about the Anita N. Martinez Ballet Folklorico or to donate, click here. To read my full-length feature about Anita’s amazing life (so far), click here. There is a reason, Energizing Our World, a 55-minute documentary on sustainability, was screened on the closing night of Denton’s annual Thin Line Film Festival last month. Perhaps it’s the way viewers are instantly drawn into the lush landscapes of Costa Rica and California and striking cityscapes of Spain and The Netherlands. Maybe it’s because the business leaders and educators in the film make a complex concept like sustainability easy to understand. 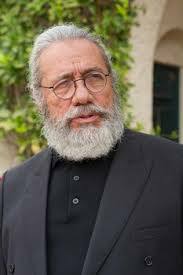 Could it be the soulful voice of its celebrity narrator, Academy Award nominee, Edward James Olmos? Or perhaps it’s seeing for ourselves that using renewable energy (solar and wind power), and recycling waste (like sludge from oil refineries being turned into diesel fuel and CO2 being used in place of water to dye fabrics) might keep us from running out of natural resources. One thing that’s certain: it is under the watchful eye of Executive Producer, Joni Bounds (JNB Holding Company) that both her teams (in front of and behind the camera) have created a film that inspires its viewers to make our planet healthier for ourselves and for future generations. Bounds says that getting Olmos on board, as the film’s narrator almost immediately was the biggest surprise of making the film. Olmos, who takes one minute showers (to save water) and collects trash on daily walks through the mountain trails near his home in California, was the perfect fit for the film. He certainly set the stage with his gentle father-earth voice, reminding us that our planet is a living thing that we are all responsible for. Sember (The Gathering, IMAX/3D Blue Whale Journey), an award-winning documentary film director and producer along with director of Photography Robert Settlemire (Underwater Director of Pirates of the Caribbean and Life of Pi), brought the film to life. Sember is known for shooting documentary films using 4K resolution cameras. 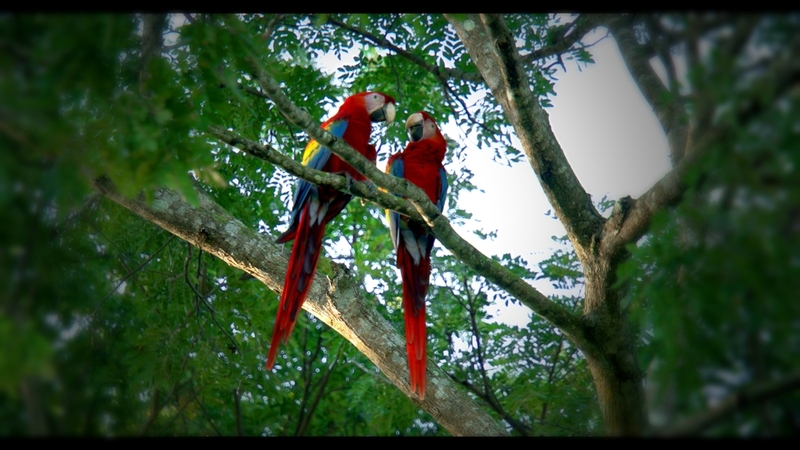 The extra resolution adds more detail, depth and color resolution to the film, making watching it more like looking through a window than watching a film. 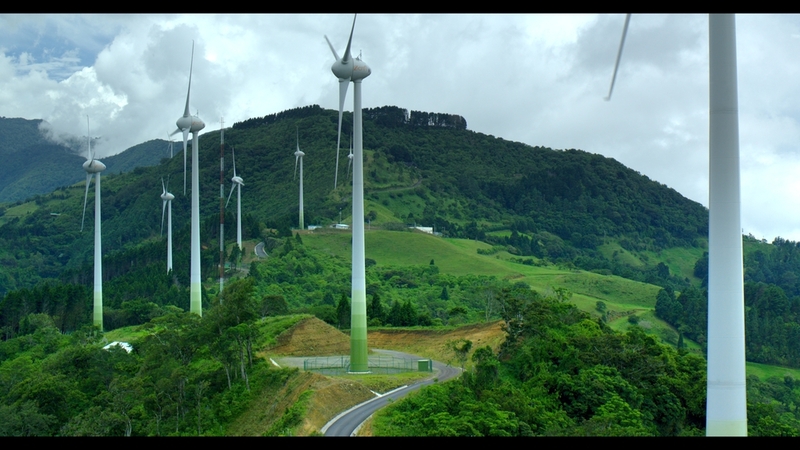 Energizing Our World takes us on a picturesque journey around the globe. Along the way we meet and listen to “change makers” who explain sustainability as it applies to four areas that we need to survive on the planet: agriculture (food), architecture (shelter), energy and water. “Energizing Our World is about the truth behind it all, not politics,” says Bounds. And as one of the energy experts featured in the film would add, bringing solar-powered electricity to off-the-grid homes in India is a “technical solution not a political solution,” some say that it’s just not that simple. Frodeman adds that values are imbedded in the world but we don’t see them as values, we see them as facts. For example, some people value money more than the environment. Putting politics aside, it’s clear that some of the dreamers out there are working hard to create a better world. Energizing Our World makes us feel good about what is being done now and encourages us to become a part of the solution for the future, because one fact is certain: we all share a planet whose natural resources are shrinking. 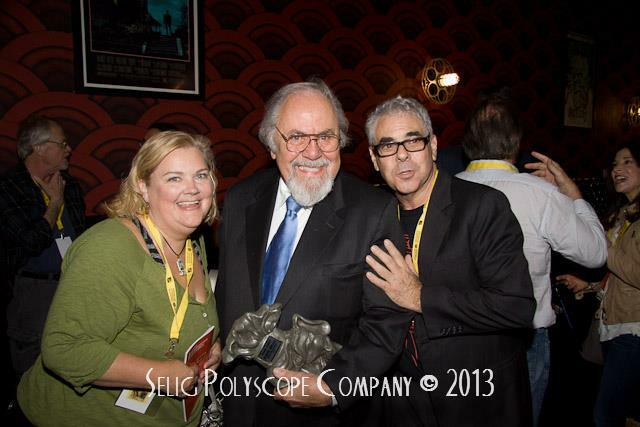 Earlier this year, Energizing Our World made it’s world premiere at the Santa Barbara International Film Festival. Later this month, the documentary will be presented at the Palm Beach Film Festival and beyond that, Spain’s Canary Islands Film Festival. Bounds, a native Texan, was very pleased that the film was included in Denton’s Thin Line Film Festival and hopes it will be included in even more festivals around the world. 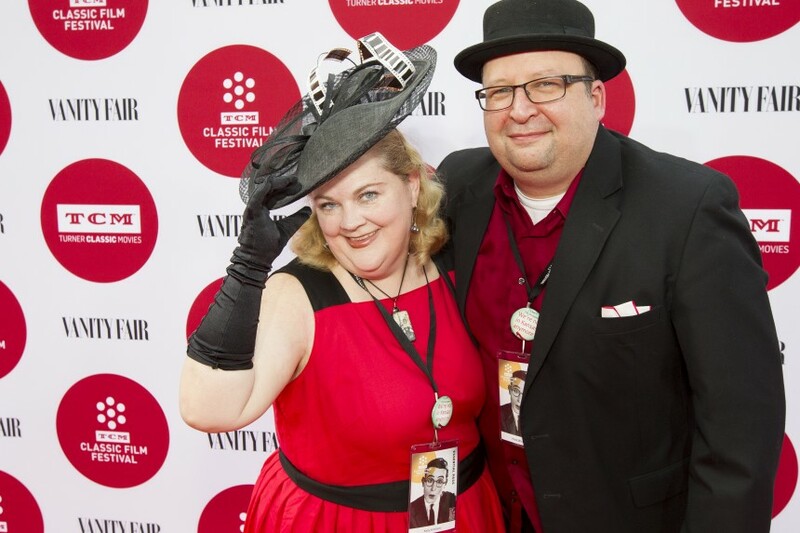 More festivals mean more exposure and a better chance to be picked up for distribution. Conversations with PBS are currently in the works. This means more people will see the film and hopefully get involved. There’s no doubt that it is going to take a critical mass to create the kind of change that is needed to make our planet sustainable. Click here to view the film’s trailer. You can also visit the film’s website to learn more.